From the Bellon Law Group: Missouri is an equitable distribution state. For divorce attorney’s, clients and judges, this means that each spouse receives a “fair” share of the marital assets in the event of divorce, though not always the 50/50 split common in community property states. A family business is subject to division in divorce proceedings, like the marital home and retirement plan, or any other marital asset or liability. If the couple cannot come to an agreement on their own, then a judge will make the decision and distribute the property for the divorcing couple. Any special skills or licenses required to keep the business running post-divorce. For example, one spouse is a medical doctor and the other a practice administrator. The non-licensed spouse cannot run a medical practice without a medical license. In this case, the medical doctor would likely buy out the other spouse’s share and may elect to keep running the medical practice post-divorce. How are Family Businesses Valued? As discussed above, a family business is a marital asset and subject to distribution in divorce proceedings. Many times, one spouse buys out the interest of the other spouse and keeps the business. Other times, the business is placed for sale and the proceeds divided pursuant to a settlement among the parties, or by a judge when the divorce is contested. In all cases, however, the monetary value of the business must be determined. It is the role of your divorce lawyer’s role to help you through this process. To determine the value of a family business, a financial appraiser looks at recent sales figures of similar businesses for insight. Most of the time however, the financial appraiser sets out to determine the fair market value. Fair market value is established when the financial appraiser reviews the fair market value of any real property and personal property owned by the business, the nature and history of the business, the economic outlook and future prospect of the business, the earnings capacity of the business, whether the business has good will or other intangible value, sales of equity interests, and market for any shares if the business is publicly traded or a closely held corporation. The decision to divorce, especially if there are children of the marriage, can be challenging. Understanding your rights, responsibilities, and obligations is necessary to ensure you come out of the divorce in the best possible financial state. Your divorce attorney should share that goal with you. If money problems caused the dissolution of your marriage, money problems will continue to haunt you post-divorce if marital debt is not addressed in the final divorce settlement. 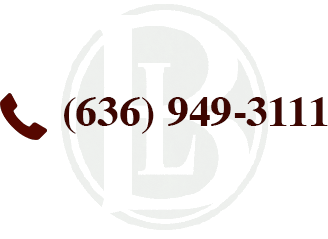 Call the The Bellon Law Group, without further delay, to schedule a comprehensive analysis of the particulars of your situation.